Warts are a common skin infection caused by human papillomavirus (HPV) that most often occurs in children and young adults. Medical conditions such as eczema and immunosuppression may increase the risk for infection. 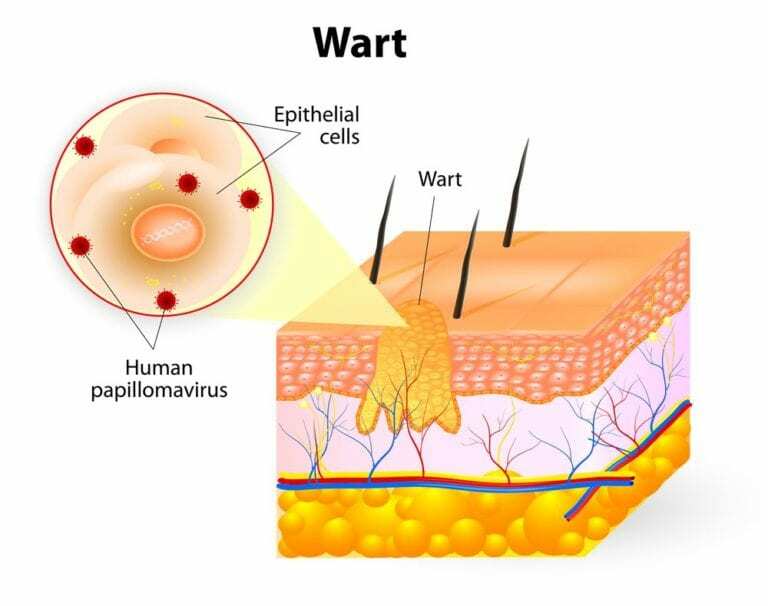 Warts are most commonly transmitted through skin-to-skin contact. Contact with fomites (objects or materials that are likely to carry infection, such as clothes, utensils, and furniture) may be an additional mode of transmission. In addition to over the counter wart removers, our provider can prescribe prescription topical therapies, freeze the wart with liquid nitrogen in the office, or depending on the number and location of warts discuss possible surgical options.